The story of Rapunzel is one of my favorite Grimms’ fairy tale. The original story and many of its variations are quite dark. 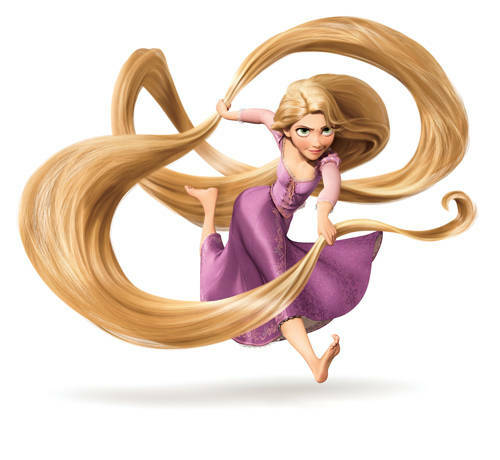 In the original story the prince calls for Rapunzel to let down her hair and sees her on the sly. One day she lets slip that her dress is getting too tight around her waist. (She’s pregnant.) Gothel, the woman who kidnapped Rapunzel, traps the prince when he returns. He falls from the tower and lands in thorns, either blinding him or killing him outright depending on which cultural interpretation you read. Now I don’t expect Disney to tell a story like that. It is Disney after all and the lost princess must remain virginal – while at the same time having an unusually close relationship with the animals around her. 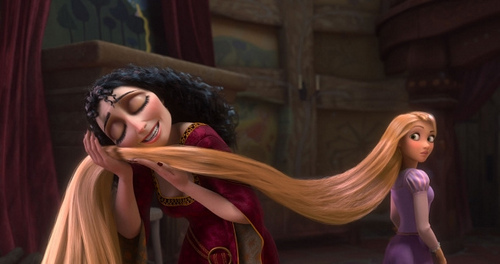 And, yes, the guy she loves in Tangled undergoes a life-changing (literally!) experience in the end. But for all that, I didn’t like this movie as much. 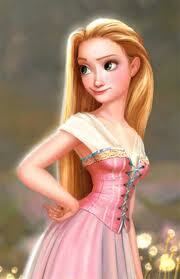 And I wanted to like it because as a writer I see a lot of potential in the basic story of Rapunzel. First, this movie came apart for me at the level of the story. There were good parts to it, but overall the story didn’t do it for me. I liked many elements but once again I felt as if I was watching another formulaic effort from Disney. Captured/lonely princess. Check. Evil grandmother/stepmother. Check. Funny and helpful animals. Check. Handsome single man comes into her life. Check. Beautiful background and story boardinng. Check. But there has to be more than that. We’ve seen all this before. There has to be a story that grabs us. We’re not all eleven year old girls, Disney. Come on. Get out of the rut. Perfect example. In the beginning of the movie Rapunzel’s mother is ill and needs a magic plant to heal her so Rapunzel can be born. But in the original fairy tale the mother needs lettuce (sometimes it’s parsley) and the king makes a deal with Gothel in which he hands over the baby to save the life of the queen. Now that’s pretty dark right there. Even if he is motivated by saving the life of his queen, and must be forced to make that choice, Disney doesn’t tell it that way. In this retelling, Gothel steals the baby from its crib. We lose whole subterranean plots and motivations in this one move. Gothel kidnaps the baby because she’s evil and greedy. It’s Disney. Of course she is evil and greedy. Finally, for the prince, in which this case it’s a lovable thief, well, he serves the same function as all other love interests in Disney animated films. He’s a plot point. Albeit a funny one in this case, and one in which Disney worked to flesh out — but still a plot point. After all, Rapunzel has to eventually give her virginity to somebody, and it’s not going to be that chameleon that rides her shoulder or Maximus the palace horse. Thus, we have the prince/thief/substitute-male figure who comes into her life in order to round out the story. As far as the character of Rapunzel herself, I did like her a lot. She went through the motions we expect her to and we’re on her side. The sight gags of her doing things with her hair were funny and the running gag with the frying pan was cute. We like her and we want her to win her freedom and her love in the end. But the story that surrounds her doesn’t click. It’s not the story that allows her to find true happiness, it’s Disney that makes it come true. Just like always. And so the movie loses a lot of its impact right there because we are never frightened for Rapunzel. Come to think of it, we are never frightened by any Disney movies anymore. Which was not always the case. Disney used to have a reputation of showing some fairly dark things on screen. Or at least stories that demanded, and gave, emotional investment and experience. We don’t get that at all with Tangled. Part of the problem, I think, is the animation. Sometimes it is absolutely gorgeous…and sometimes we are taken aback by how bad it looks and the jerks and stop s between scenes. To be sure there are many nice scenes (from an artistic perspective) in this film. The scene where the dam bursts, the dance in the market square, the flight of the paper lanterns all stand out. The clothing and texture of trees and stone and water are phenomenal. But the characters themselves…well, sometimes they look kind of rubbery. Like walking dolls made out of wax. I was disappointed in that. If you’re going to go the limit to make clothing have proper texture, and move correctly upon the frame, then why not make the skin and shading on the characters more realistic as well? The music was another big let down. None of the songs were memorable. Even Rapunzel’s healing song doesn’t stick with you, and that song, more than any other, ties the arc of the film together. Most of the humor works and some falls flat. But that’s Disney and that’s their trademark and they’re not going to let it go no matter how much we groan. At least we see some effort at background and characterization for many of the secondary characters. That helps round out many of the other flaws. Not surprisingly, the one character that really stands out (and takes the stage away from Rapunzel when they’re together) is Gothel. This is where Disney shines. If there’s one thing Disney knows it’s “evil stepmother” and how to represent her as a multi-facted and three-dimensional character who is cruel, cunning, and manipulative. As much as I like Rapunzel, and the idea of story potential about Rapunzel, as a professional writer I am here to tell you that a story about Gothel is much more interesting. But, once again, we are limited by Disney and the parameters they set up for every film they make. We will never see a story about Gothel, or Rapunzel for that matter, the way it should be told from Disney. It’s not what they do. As I said earlier I really wanted to like this film. But there’s too much missing or awkward about it, or worse yet, formulaic. Tangled was billed as the 50th animated film by Disney. In all that time they have made groundbreaking strides in the technical department. But the story of Tangled is like every other Lonely Princess story we’ve seen from Disney and that, more than anything else, is why I can’t recommend it. I still loved the film and believe it’s a great addition to Disney’s animated classics. Lastly, let me just add a big “Yeah!” to the film’s final moments when Flynn, back in narrator mode, reveals that it was several years before he and Rapunzel got married. A much better message for children than the more usual we-saw-each-other-twice-before-tying-the-knot which seems almost de rigueur in so many fairy tales.